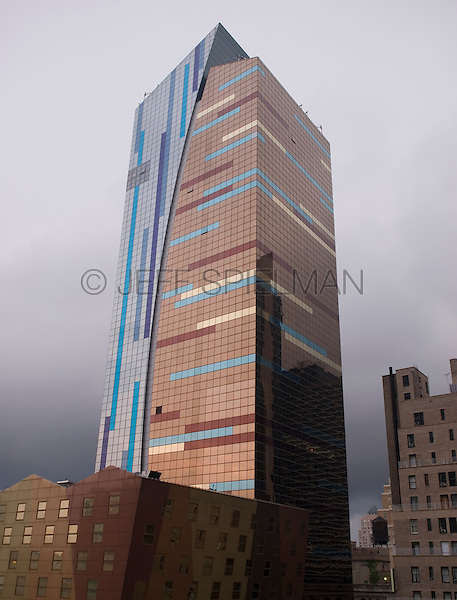 Upward View of The Westin New York at Times Square Hotel with dark clouds just before a heavy summer rainstorm, 42nd Street near 8th Avenue in the Times Square area, Midtown Manhattan, New York City, New York State, USA. Available for editorial licensing. Not available for commercial licensing because the building is not property released. The building was designed by the architectural firm of Arquitectonica.